Feeding eggshells to the chicken has been around what seems like forever. If you are like us, you don't like to waste any leftovers and you like to use as much as possible. 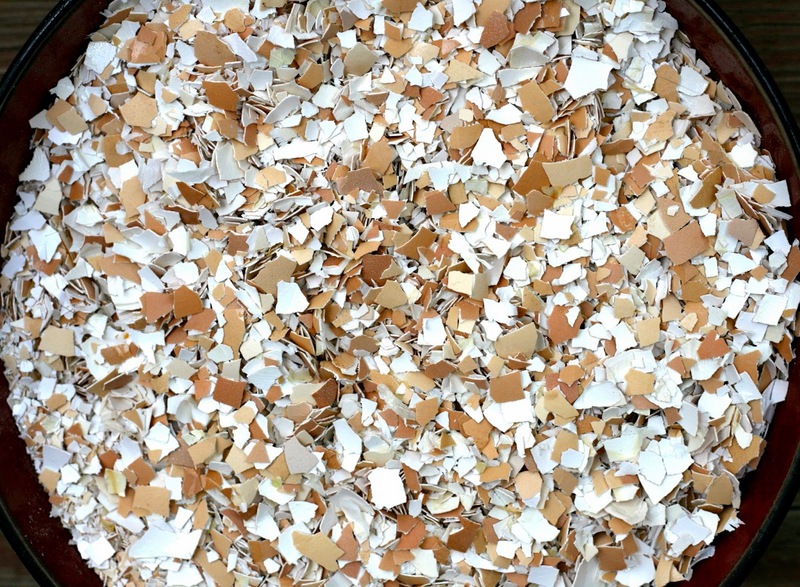 Of course, you can compost the eggshells but if you feed them to your girls, they will provide some extra calcium in their diet, which they so badly need. Every egg contains a large amount of calcium and if the hen is lacking it in her diet, the rest of her body will suffer. You have to dry the eggshells before you can feed them to the chickens. The reason for that is (as I heard it from our grandmother) that the chickens don't eat any of the actual wet part because that might promote egg eating in you coop. I have double oven and I mainly use the top part. I have a big cookie sheet ready in the bottom oven and every time I have some eggshells I place them on the cookie sheet. You can find any spot in the kitchen... I heard people keeping them under the sink, in an empty cupboard, or in their pantry. Just make sure they are in a place, where they can dry. After you dry the eggshells, you would want to break them up into tiny pieces. Hens don't really have the brain capacity to realize that you are feeding them the eggshells from the eggs that they lay but they could visualize the round objects and connect it (like when people place golf balls into the nesting boxes to promote egg laying there... golf balls are very similar to the egg shape). Hens sometimes start eating the eggs they lay because they lack the calcium in their diet or they are simply bored. I have never have it happen but I sure heard a lot about it. You can avoid this problem by drying the eggshells and breaking them into tiny pieces - see bottom picture. Now you are ready to bring them to your coop. I mix them with their regular feed and they gobble it up no problem.